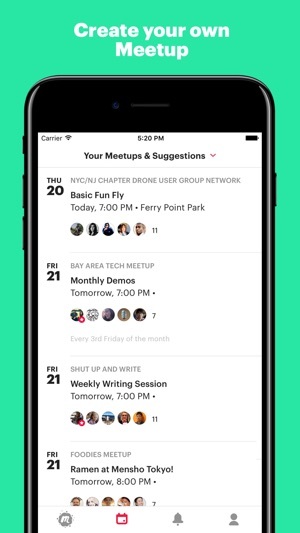 Meetup brings people together in thousands of cities to do more of what they want to do in life. It is organized around one simple idea: when we get together and do the things that matter to us, we’re at our best. And that’s what Meetup does. It brings people together to do, explore, teach and learn. For example, people run marathons, thanks to running Meetups. They write, thanks to writing Meetups. They change their careers, thanks to career Meetups. Because at Meetups, people welcome each other. They talk, help, mentor, and support each other – all in pursuit of achieving their life goals. Want to start a new Meetup and become an organizer? Anyone who wishes to organize a Meetup may subscribe through the app. An organizer subscription entitles you to create up to three Meetups with an unlimited number of members and co-organizers. 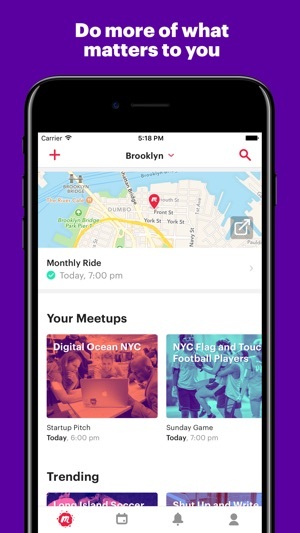 Meetup offers 1-month and 6-month subscription plans based on the location of your Meetup. Your subscription will be charged to your iTunes Account once you confirm your purchase and will automatically renew at the end of each billing period unless auto-renew is turned off at least 24 hours before the end of the current period. You can turn off auto-renew at any time from your iTunes Account settings. Any unused portion of a free trial period, if offered, will be forfeited when you purchase a subscription. In order to recommend Meetups that are close to you and to show you your distance from a scheduled Meetup, we use your device’s precise location (GPS and network-based). 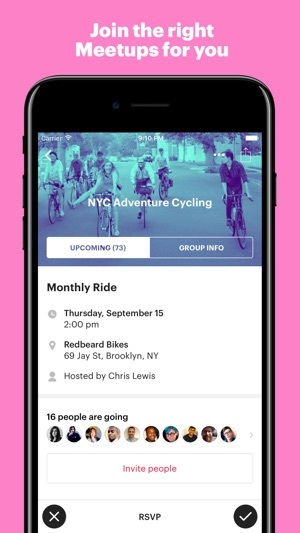 ﻿In this release: Sharing a group or event through Facebook Messenger is working again (after a long holiday of not working much at all), and messaging on Meetup is working better than before. And some under-the-hood fixes and improvements. I've only just made an account. Is this normal? Sign up was pretty bad on a purely UX perspective. Why is there no exit/done option for users when they're inputting their information? I tapped to enter my age and gender and had no way of finalizing an input, thus couldn't move on to the next field. If I scrolled down to my age, I couldn't hit "ok" or "done" or even a "x" to move to the next section of the sign up form. I opted to just tapping back and forth between things and the screen needed to jump around constantly for me to even be able to reach the "gender" input from underneath the scrolling pop-up for the age input. Be helpful. UX isn't all about aesthetic appeal. If it doesn't work, it's bad UX, regardless of how pretty it looks. You then ask me to provide feedback about my thoughts on the app once I finally get to the home page, and I oblige. Only to find that I can't even send the message. No matter what I did, the "send" option was disabled on the feedback email screen. You ask to collect feedback, but ask your users to figure out a puzzle to be able to help you. This review was meant to be sent in the feedback email that you redirected me to 10 minutes ago. I ended up giving up but decided to still try to give you feedback, just through the AppStore - something I'm confident will actually work correctly. I've only just made an account---- is this what I should expect from the whole app? Thank you for sharing your feedback on your experience creating an account. We'll make sure to pass it on to our App Team, here at Meetup HQ. In the meantime, could you kindly write to support@meetup.com so we can take a look at that feedback email not sending issue? We definitely want to hear what our members have to say. Ive new running a Meetup group for te last year and a half. I didn’t use the old app at all because it was a one star, unusable. 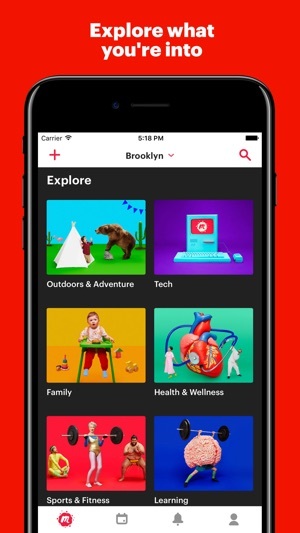 The new app is more pleasing visually, but is still buggy. Off the top of my head: I cant see new member requests anymore (I get a notification but then just a blank screen) which is essential to managing my group; I just started charging annual dues and apparently people are having problems viewing were to pay on their mobile devices (99% of them only use mobile to rsvp to events), I can’t make someone else a host on mobile version anymore. Sometimes when I set rsvp limits on dates and attendees, the information doesn’t save properly and I have to go back on the desktop to change it again. Photos don’t show up on mobile for te main event representation (so what the heck is the point of spending time to upload it?!). Thank you for your thorough feedback. We've passed it on to our App Team. 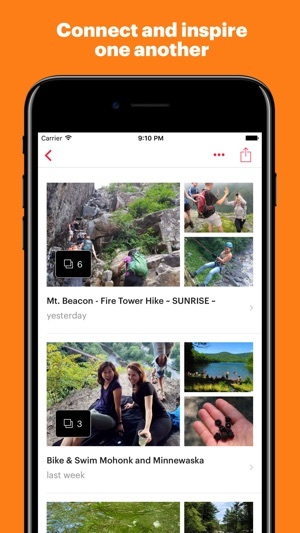 The good news is that they're already working on an improved and easier to navigate version of the app. So stay tuned for updates. And if your members are having a hard time to find how to pay your membership dues, feel free to send them our way at support@meetup.com and we'll happily assist them. 3 years after becoming a first time mom, MEETUP has jump started my social life again!!! I relocated from NYC to south Florida when I was 8 months pregnant with my little one... needless to say, between being a new mom and moving to city with a MUCH slower pace, my social life pretty much took a deep dive then careened to the floor... when I was ready to start going out again, I had less than a handful of friends in my area who wanted to do the same things and were available at the same time. This led to constant cancellations and a few awkward solo outings. With meetup, I was able to connect with Like-minded women who were doing the kinds of things I liked to do so I could go out without the stress of having to do almost EVERYTHING alone. I also really like that I can send messages to the event hostess in advance if I have questions! Nowadays, I’ve been traveling to different states and I like to use MEETUP to find cool things happening in other places before I go!